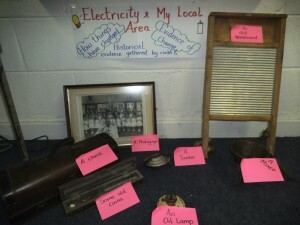 We have learned about electricity this week. We have investigated how times and things have changed since long ago. We had fun interviewing our grandparents and elderly people in our area. Here are some pictures of the Historical Evidence we gathered.